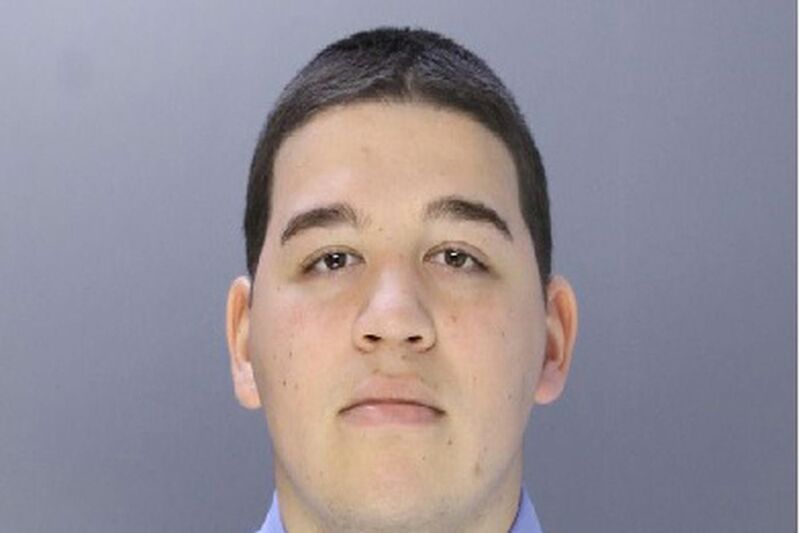 A former Philadelphia police officer was ordered Friday to serve 3 to 12 months in a city jail and four years on probation for killing a man while drag racing another officer in front of Northeast High School two years ago. Adam Soto, whose two brothers also are city officers, fought back tears while begging for forgiveness from the family of the victim. “What I did was stupid,” said a sobbing Soto, 25, turning to face Danny Dimitri’s mother, Virginia, and other relatives at the Stout Center for Criminal Justice. “My job was to stop people like me from doing this. I’m sorry." Soto, who was fired by Police Commissioner Richard Ross three months after the Jan. 31, 2017, fatal crash, pleaded guilty in October to a felony charge of homicide by vehicle and a misdemeanor charge of involuntary manslaughter. Common Pleas Court Judge J. Scott O’Keefe ruled that Soto would be able to leave the jail to work to provide for his wife and 2-month-old child. The judge ordered Soto to begin serving his sentence on Feb. 8. Danny Dimitri, a Northeast Philadelphia cook, is seen in this Christmas 2015 family photo with his nieces Stephanie Prosinski (left) and Brittany Prosinski. “Mr. Soto, what you did was stupid, reckless, senseless, and asinine. There was no reason for it,” O’Keefe told the defendant. Dimitri, 50, worked as a chef at Chuck’s Alibi, a seafood restaurant on Oxford Avenue in Burholme. He was hit while crossing Cottman Avenue near Algon Avenue at 11:30 a.m. to take a bus to get his paycheck, according to his family. Assistant District Attorney Cydney Pope had asked the judge to send Soto to state prison for three to seven years. Soto, who was a two-year officer who worked in the 24th District, was racing fellow off-duty Officer Tony Forest, then a three-year veteran in the 14th District. While Soto accelerated until his Subaru struck Dimitri, Forest slowed his Mercedes-Benz and stopped at a traffic light that Soto sped through. Although he was off duty at the time, Soto knew as an officer to not drive so fast, the prosecutor said. At the point where Dimitri was struck, the speed limit is 30 mph, Pope said. Soto was traveling as fast as 88 mph when he hit the man. Accident Investigation Division officers estimated that Dimitri was thrown 144 feet after being hit by Soto’s car, which resulted in his chest being caved in and cerebral spinal fluid leaking from his nose, the prosecutor said. “Oh, my God!” shrieked Virginia Dimitri, the victim’s mother, as she heard the details and cried on a relative’s shoulder. Soto’s attorney, Fortunato Perri Jr., had asked for an even lighter sentence — house arrest — contending that Soto was remorseful and needed to work to support his family. O’Keefe noted that state sentencing guidelines recommended the months-long jail sentence he handed down. He said he found no reason to deviate from the guidelines. After the hearing, Virginia Dimitri said justice was not served.